The Gillard government’s talk of health system reform hides a health privatisation agenda and no new Commonwealth money for our struggling public hospital system. The Heads of Agreement signed by state and territory premiers and Labor Prime Minister Julia Gillard at the Council of Australian Governments (COAG) meeting on February 14 fails to address the chronic under-funding of public hospitals and other pressing needs of the public health system. Patients are the big losers as the private, for-profit, health sector and their lobbyist, the Australian Medical Association, continue to drive the reform agenda. The funding cutbacks under John Howard and his health minister Tony Abbott are now part of the Labor program. The COAG deal is another step towards the privatisation of the public health system, another step towards the US managed health care system. Gillard proved her credentials as a slick political operator managing to secure an agreement of sorts with the states. There was no shortage of smoke and mirrors or political doublespeak from Gillard or Health Minister Nicola Roxon attempting to convince the public that real improvements are on the way – while hiding the fact that the under-funding of public hospitals from the Howard era would become an established fact of life. Facing defeat on former PM Kevin Rudd’s grab for 30 percent of the states’ GST revenue and a controlling stake in the public hospital system, Gillard abandoned them prior to the COAG meeting. The Gillard model is otherwise unchanged from Rudd’s agenda. After all, Gillard and Roxon, along with private health insurance representative Christine Bennett, were part of the original group that drew up the Rudd plan. The states will lose some of their powers while taking responsibility when patient needs are not met under a cash-starved public scenario. Gillard claims there will be “more money, more beds, more local control and more transparency,” and “less waste and less waiting”, part of the smoke and mirrors. The government’s promise of an extra $16.4 billion for public hospitals is dishonest. The federal government would have increased its payments by around that amount without the new agreement due to natural growth in demand. (Inflation and growth in population mean health spending is constantly increasing.) It hardly qualifies as “extra”. What’s more, it does not begin to kick in until July 2014 (and a federal election later). So, cash-strapped states are expected to carry the burden of increases in pubic hospital funding for the next three years. They are being set up to fail. No new federal money for the public hospital system until 2014 means all new growth will be in the private hospital industry - privatisation by stealth. Tax payers will continue to subsidise private sector growth through the uncapped 30-40 percent (depending on age) private health insurance (PHI) rebate and other mechanisms to the tune of billions of dollars every year. Gillard states that the “biggest challenge facing our health system is that it is running out of money.” In the mid-1990s, the ratio of federal to state funding for public hospitals was 50:50. It now stands at 38:62! The Rudd/Gillard governments have done nothing to reverse this situation. Supporters of the public health system have been calling on the government for years to raise its contribution to 50 percent (50:50) again. The best the Gillard government can come up with is a promise to “increase its contribution to efficient growth funding for hospitals to 45 percent from July 1, 2014, increasing to 50 percent from 1 July 2017” (bold added) At best this means the Commonwealth’s contribution to public hospitals will be around 42-43 percent by 2020, setting in concrete the Howard/Abbott Coalition government’s cuts from 1996 to 2007. Gillard’s 45 and 50 percent commitments do not apply to its total contribution, only to matching any increases in state spending. Even then there is no guarantee the government will meet dollar for dollar all growth in state funding. It only applies to “efficient growth”. “Efficient” is code for “low cost” – taking short-cuts in procedures, turfing people out of hospital too early, lower wages, longer working hours and reduced nurse-patient and other staffing ratios. The MyHospital website will be expanded to include assessments of the performance of hospitals. A number of new bureaucracies will be established to set standards and measure their performance. “The government will … publish information about how each hospital performs so the public choose the best care,” says Gillard. The information that she refers to is based on a hospital’s ability to cut costs, not on its quality of care. Gillard continues: “This is another important market principle which will drive improvements in patient outcomes across the nation.” Here she gives the game away: the agenda is hospitals competing on a market in a hospital industry - health care is no longer a service. The system rewards the hospitals that cut the most with a larger slice of the promised $16.4 billion and punishes those who focus on quality of care. 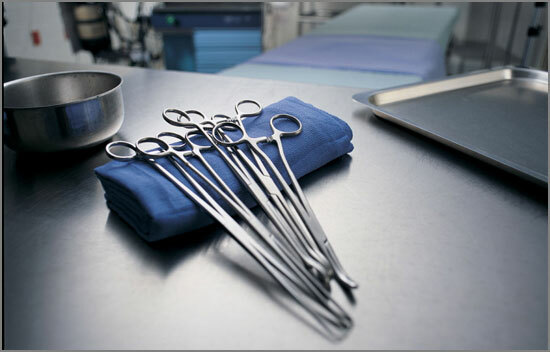 No account is taken of the complexity of specific cases handled by a hospital or shortcuts used to meet the standards. The “efficient” price is a crude measure of performance based on dollars and speed of throughput. Sound medical practice and quality of care come a poor second – especially if they cost more and so result in “failure”. The Independent Hospital Pricing Authority (IHPA) will set the “efficient price” for specific hospital procedures (eg removal of tonsils, colonoscopy, etc) – what the government calls “activity based funding” – also known as casemix. The National Performance Authority (NPA) will report on the “performance” of hospitals and health care services, including primary health. The states and commonwealth will pay their share of hospital funding into a national pool. The money will then be paid to the states to pass directly on to local hospital networks (LHNs) based on the number and the “efficient price” of procedures. Hospitals failing to meet the “efficient price” standards and other criteria will be penalised with inadequate funding. Successful hospitals will be rewarded. Public hospitals are being set up to fail. Public hospitals are already stretched beyond their limits, for years doing more with less. This will continue. They will be forced to close more beds. Nurses, doctors and other staff, already stretched beyond human limits, will be placed under even more stress at a huge cost to their own health. Public hospitals will be under pressure to increase their intake of privately insured, fee-paying patients. More people will be forced into the private health system. The government will buy more public places in private hospitals to reduce waiting lists. Medicare Locals – primary health care organisations to be established by the Commonwealth – “will be responsible for coordinating and better integrating primary health care services in their local communities and regions”. There is a promise of GP after-hours services, which could reduce the number of attendances to hospital emergency departments – but the Medicare Locals have the appearance of paper tigers. They have been described as glorified GP Divisions without significant or guaranteed streams of funding and without match-up with the LHNs. There is a lot of rhetoric about giving clinicians and the community a greater say, shifting the centre of gravity from hospitals to primary care, providing services which are more responsive to the needs of local communities, system-wide planning integration of services, etc. No one could disagree with these aims, but how they will be achieved is far from clear. The focus is hospital-centric and lays the basis for the creation of a hospital market where patients (or more accurately in many instances their private health funds) choose where they will be treated. The MyHospital website will report on hospital performance along similar lines to the MySchool website. It will only be a matter of time before public patients can choose to be treated at the “efficient price” in private hospitals. The COAG document remains silent on the private sector at the same time as laying the foundations for the eventual funding of private and public patients in private hospitals and a voucher system. Patients choose their hospital – private or a run-down public hospital – and carry the value of the procedure from Medicare with them. The problems facing public hospitals are not ones of standards or management but of funding. The under-funding of public hospitals is a conscious political decision to facilitate privatisation. It is not due to lack of money. If the government were serious about improving the public health system, then it would cut the $3 billion plus uncapped PHI rebate which is nothing more than a subsidy to prop up the otherwise unsustainable, profit-gouging, private hospital industry. Another $3 billion could be found with a 10 percent cut in the $32 billion military budget and redirected towards public health – hospitals, aged care, mental health, training and employment of doctors, nurses, community care workers and other staff. There is a long way to go before a final agreement is reached. The ink was hardly dry before Coalition premiers from Western Australia and Victoria were setting conditions for a final deal. It is highly likely that there will be a third Coalition premier in NSW, Barry O’Farrell, who has still to express is his views. This gives trade unions, community, political and other organisations and individuals a window of opportunity to campaign for genuine reforms in support of a fully integrated public health system, including dental, mental health and aged care.